During a recent move, we were caught in the unfortunate position of being without internet for about 3 weeks. That time was not spent entirely without access, but acquiring that access required us to take great pains. Our consoles were offline for that entire time, during which I renewed my appreciation for the single player games I haven't played in far too long and helped me understand better what gaming is like for people who love games but consistently live with limited access to the internet. It was interesting to look at my collection of games and realize how many of them required an active connection to the internet to play. I had always thought of myself as an offline single player fan first and foremost, but the disproportionate number of online shooters and MMOs in my library would say otherwise. In fact, almost all of the games I had most recently played on my consoles required a connection to play. A little perturbed, I dug through the other games in my library and came up with Dragon Age Inquisition, Shadow of Mordor, and Hatoful Boyfriend, the latter two of which I had started playing but never finished. Inquisition, whose DLC I had downloaded years ago and never played through occupied the lion's share of my game time. Despite being three years old, its graphics are still rather breathtaking. The skin textures, clothing and lighting are very well done, and look excellent even on the console version. While I played, I thought about how long it had been since I had played a game without access to the internet and how that might affect how I played. Clearly, there were a number of games that were simply unavailable to me entirely. Some of the other games I had were playable except for some content that required access to the developer's servers. But even single player games like Inquisition were changed without the internet at my fingertips. I will be the first to admit that I will use guides to make sure I get to experience as much of the game's content as possible. Without the ability to pull those guides up, I was going in blind. I felt odd tackling the story in Inquisition that way, even though I knew it was really the best way to experience the game. It was very rewarding to play with only my wits and rusty intuition to guide me but while I swore that I would work to maintain that behavior once the internet was restored, there is a part of me nagging that I've missed something that I'll never be able to find on my own. 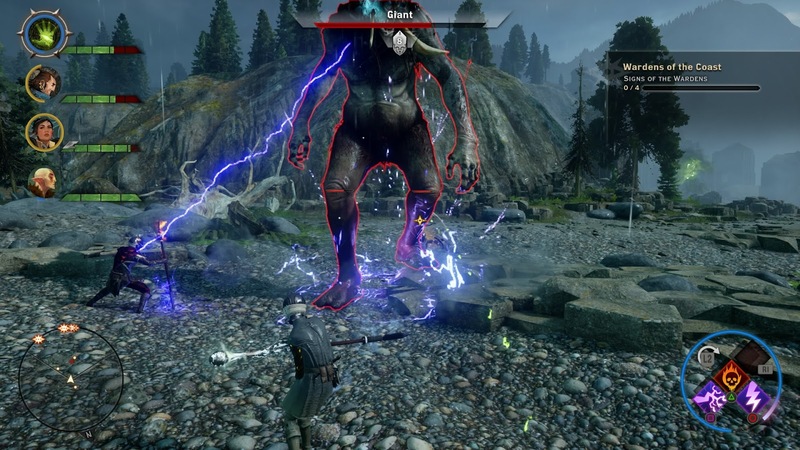 Our internet is back now and while I have the ability to play everything I was desperate to play just a few days ago, I can't tear myself away from Inquisition and the others. Whether it's just the nostalgia of rediscovering a few old favorites, the challenge of having to work through mechanics and find strategies on my own or something else, I hope that playing games can always feel this good.